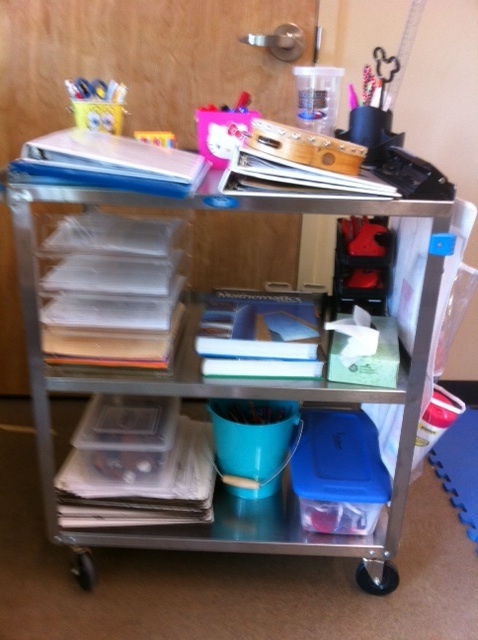 Yes, I am a “mobile” teacher, roving the campus on a cart. 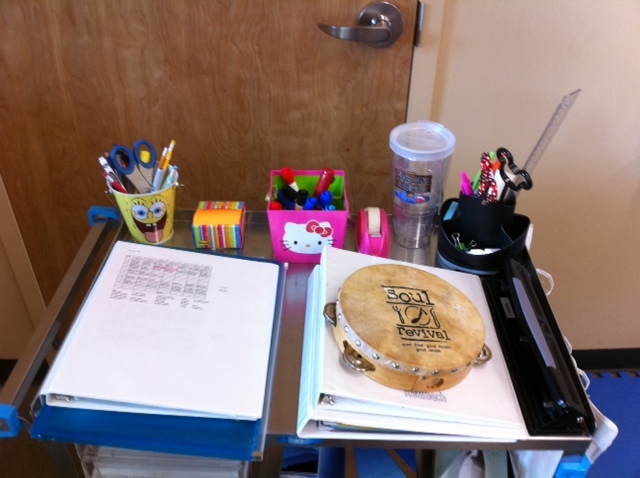 Even though I am usually in one of two classroom, I can go between four classrooms and the Lodge! 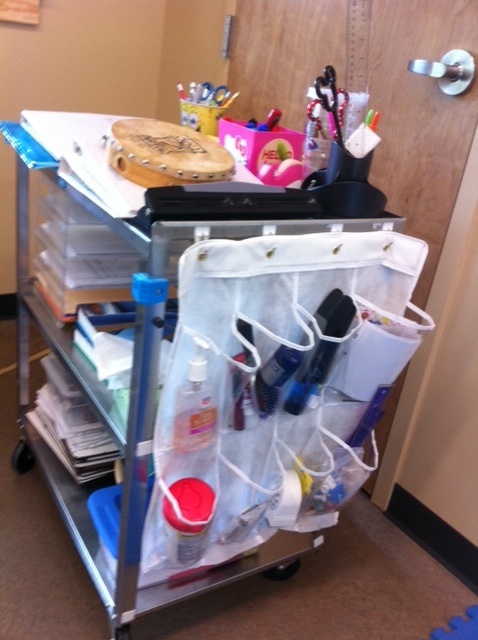 Here are pictures of my mobile (rolling) office. THIS is how I “roll”! I used half of a shoe organizer on the end for extra supplies. This entry was posted in Philosophy by I Speak Math. Bookmark the permalink. Love your cart. It’s given me some ideas for when I am floating this year. I’m looking to buy a cart, any idea how big yours is or what you’d recommend?